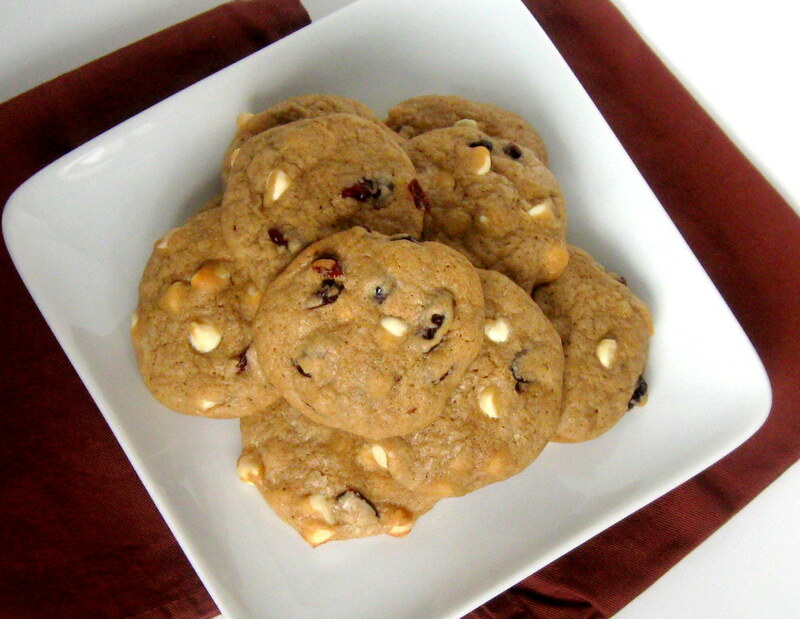 At one place where I used to work we made cranberry pistachio white chocolate cookies. They are amazing! We only made them at Christmas time and people loved them. This recipe is not that recipe. But, I think it's better. Feel free to toss in some pistachios if you feel the need, the saltiness is a nice addition. This time around I just made a recipe with the cranberries and pistachios for a different flavor. I may or may not have eaten about six of these within 20 minutes of them coming out of the oven. To be honest, I lost count of how many I ate. I loved them way to much and promptly told my husband he had to take some to work the next day to get them out of the house. He forgot them of course. Now I have to eat them all. 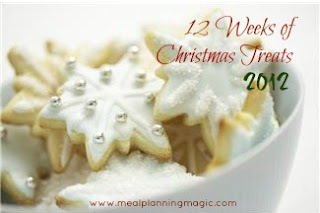 This week 2 of the 12 Weeks of Christmas Blog Hop. The hop is hosted by Brenda at Meal Planning Magic. She's kind enough to orchestrate the whole hop and let all of us be a part of it. If you would like more information on how to join the hop check out her site and she can help you get everything you need. 1. Preheat oven to 325F. In the bowl of a mixer, blend together the butter, sugars, and vanilla for about 1 minute until fluffy. Add egg, mix until combined. 2. Add the flour, baking soda, salt, and cinnamon. Mix until completely blended (dough may look soft). 3. Stir in the chocolate chips and cranberries. Scoop into mounds (about 1 ½ tablespoons) on a cookie sheet about 2” apart. Bake 13-15 minutes or until light golden brown. Do not overbake or the cookies will be crispy on the edges. The cookies may not look done completely but they will set up as they cool and remain chewy. Cool completely on a wire rack. Yum! These are some beautiful cookies! I'm happy to be baking with you this year! I love the idea of using pistachios with white chocolate. 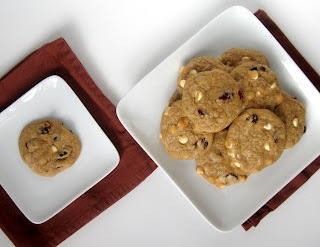 Since we don´t have cranberries, it will be the perfect substitution. Wonderful treat! These have been on my list to make for over a year now. I just CANNOT seem to find cranberries anywhere. Hopefully I run across some so that I can make these soon. Um, you had me a cranberry. They sound delicious! I made something like this last year - i found them a little sweet. I can't wait to try this version out. 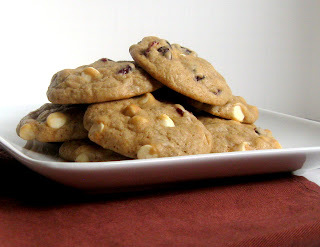 I love dried cranberries and white chocolate! I will definitely be making these this holiday season! This sounds like a wonderful cookie -- love the white chocolate/cranberry combination! Thanks so much for linking on Busy Monday!